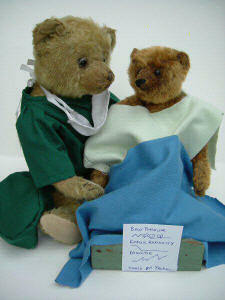 10...The Little Bear arrived at St Paws, a well known hospital for Extreme Makeovers. The anaesthetist Dr T. Bling, welcomed him and assured him that all would be well.. they had only lost 2 Chad Valleys this week.. and third time lucky! 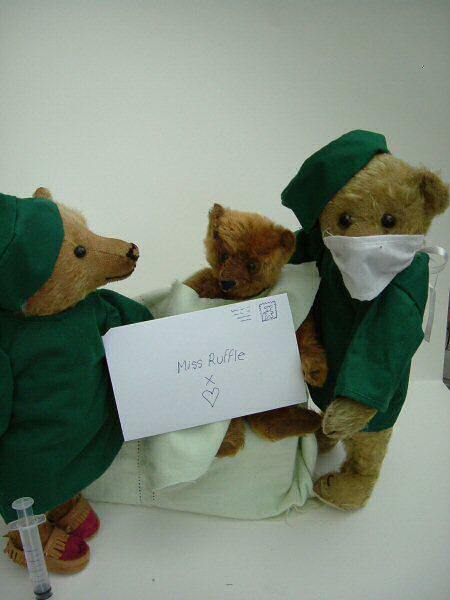 11... On hearing this news, Little Bear decided the most important thing, putting himself last, before his true love, was to ensure that his special card was delivered to his sweetheart, that was all that mattered. 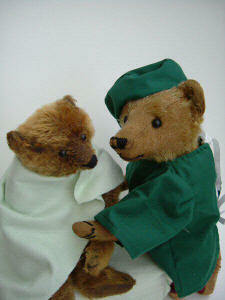 He entrusted his message to Dr Bling and Dr Illwin Freddo and said lets begin. 12... Little bear counted to 10, but only reached.....6...and before he knew it Dr Illwin was working his magic to rescue little Bear. 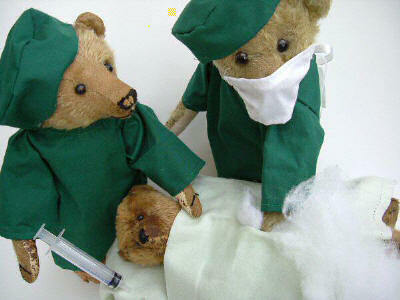 Dr Bling kept a careful eye on his patients awareness and topped up the anaesthetic to ensure a painless ride. 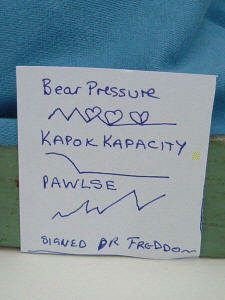 13... MORE KAPOK.. yelled Dr Illwin, we may be losing him....it just wont stop leaking...clamps!...glue. !...more Kapok.....HELP!!! That's it.. I think that is all we can do Dr Bling.. we must leave the rest to chance. 14... Before they knew it, Little Bear was sitting up in his bed looking much happier. he was of course a little sore, but he could sit.. unaided and seemed to have a new lease of life. 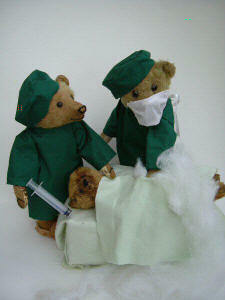 Dr Illwin was relieved and pleased with his work. Little bear thought that his new nose was just fabulous! 15... He had to be monitored, that was for sure, it was not over yet. 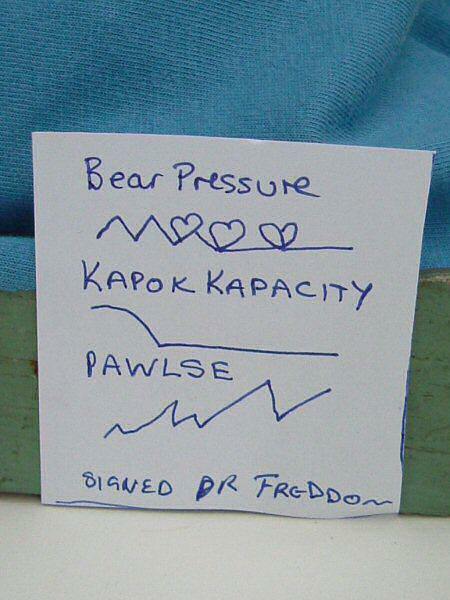 His vital signs were good, very good, it was quite obvious to the doctors at St Paws, that Little Bear had something on his mind that was giving him the will to go on..